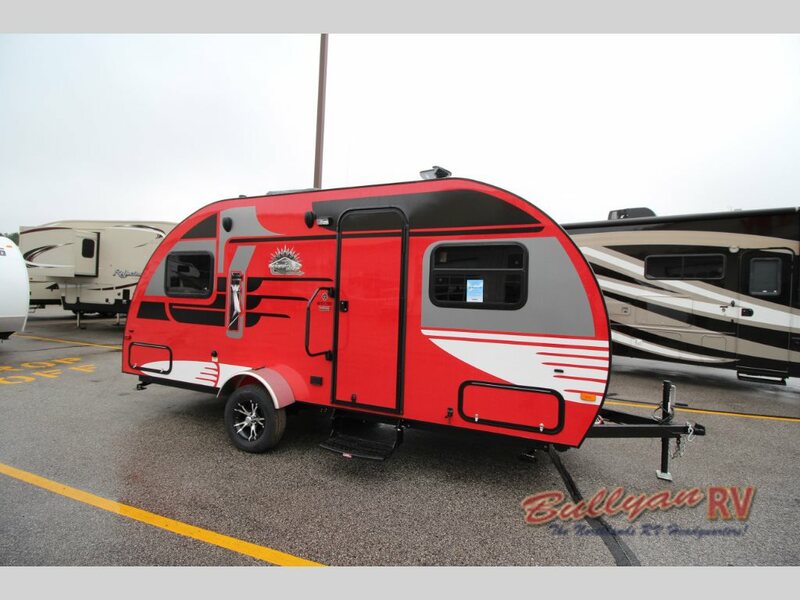 Get Ready… the long awaited Winnebago Winnie Drop Travel Trailer has arrived at Bullyan RV! There has been a ton of buzz surrounding Winnebago’s new tear drop trailer since it was unveiled at the RV show in Elkhart, IN last fall. The excitement is well deserved considering Winnebago’s long standing reputation in the motor home market. Now, travel trailer buyers can enjoy the luxury and quality Winnebago is known for. To start off with, you will notice the eye catching exterior graphics and snappy color scheme. The Winnie Drop has taken the retro look and successfully updated it to make a very stylish teardrop trailer that is sure to turn heads as you pull into the campground. 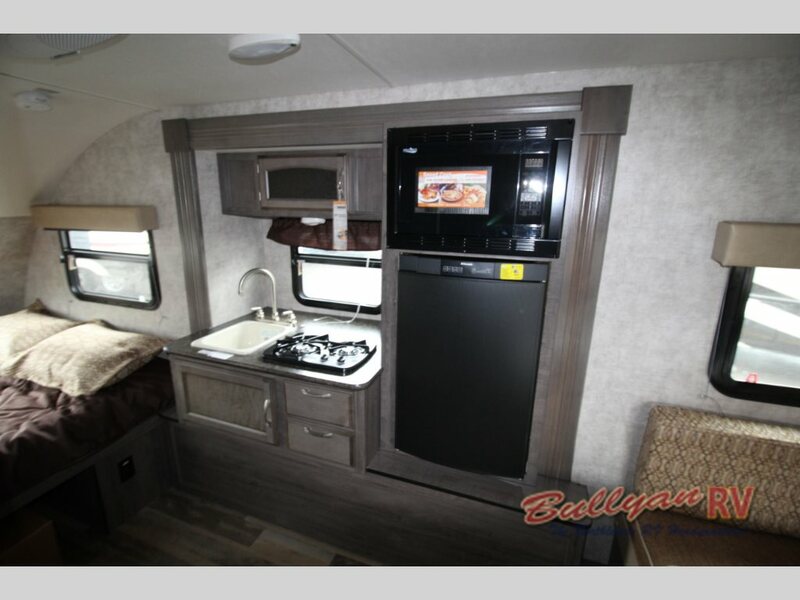 With three floorplans available with options such as with or without a slideout, wet or dry bathroom, u-shaped or booth style dinette, you are sure to find a layout that will fit your travel needs. Dry weights for the three floorplans range from 2,400 -2,800 pounds, so you should have no trouble with towing if using a mid sized SUV or cross-over vehicle. 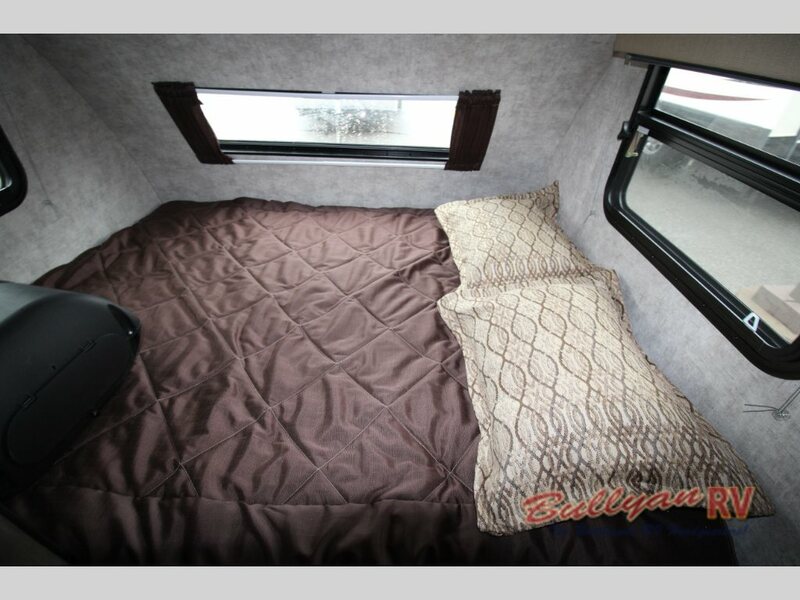 All models feature a queen mattress, 13.5 BTU roof A/C, overhead cabinets and exterior pass through storage. Cook up all sorts of delicious meals in the central galley kitchen complete with a 2 burner stove, refrigerator, convection microwave, pantry and high rise faucet over a single bowl sink. As far as construction, Winnebago is known for producing a quality product and the Winnie Drop is no exception. Gel coated exterior, one piece fiberglass roof, 5/8″ plywood floors covered in residential vinyl flooring, torsion axles with self-adjusting brakes, NXG frame technology, diamond plate front rock guard and aluminum wheels are just some of the components that make this camper one that will last for years down the road. Since this is the first year the Winnebago Winnie Drop has become available, these snazzy campers have been moving fast. 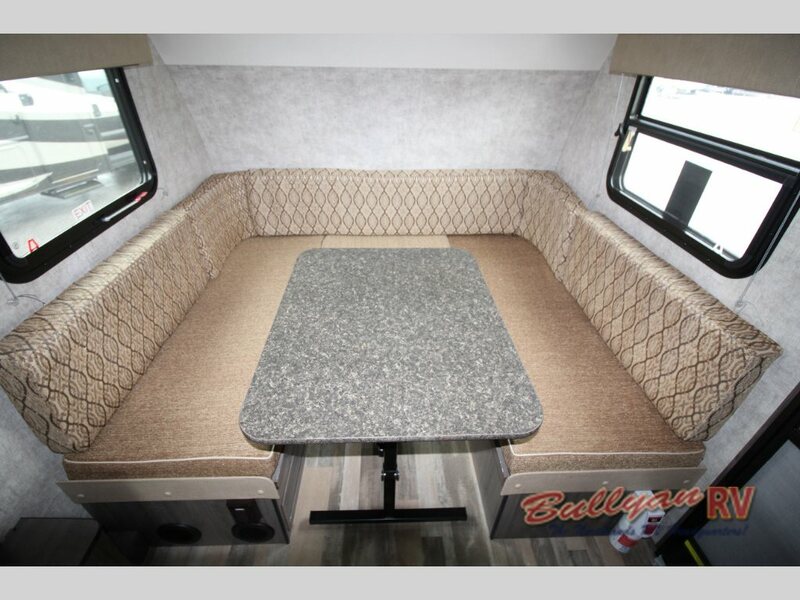 Contact Us today at Bullyan RV so you can tour the variety of floorplans we have in stock and tow your very own Drop away today.